Our leadership team brings technical experience and a listening ear to work every day. Meet our crew. Irma brings a B.A. in Fashion Design from the Art Institute of Denver and several years of contract design work to the team. Hailing from Garden City, KS (mooooo), her favorite thing about working at the shop is: EVERYTHING!! She loves that she is able to pursue her passion in design & sewing and call it her job. Irma really enjoys being able to not only help the community but also be involved in the community. Her biggest motivation is seeing an apprentices' proud face light up after they see a product that they've made in the shop. Aside from work Irma loves to spend time with her new baby! 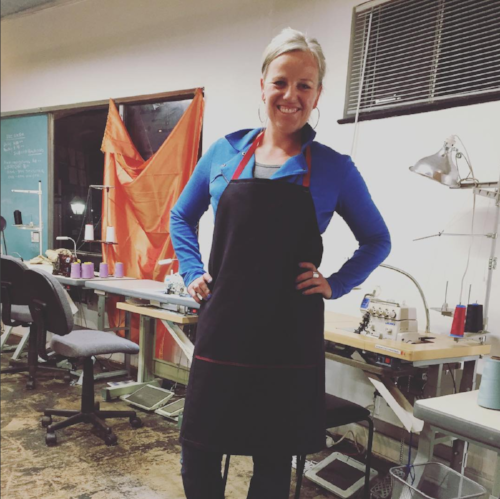 I started at Mile High WorkShop in April of 2017 and I am currently the Sew Shop Assistant Manager. My work include, but is definitely not limited to, creating task sheets for employees, assisting in training new employees, and assisting in overseeing production and quality control. I also cut fabric and sew....a lot! I enjoy it immensely. My favorite thing about Denver (I am a native) is there is always something going on to keep people entertained. You will never run out of things to do here.....ever. Scott creates and oversees initial and ongoing implementation of organization-wide production systems. He provides ongoing support for process development and execution to department directors. He also oversees warehouse layout and planning and manages warehouse safety planning and training. His favorite thing about Denver is the Rocky Mountains - he loves hiking & mountain climbing. I joined MHW in the Wood Shop in February 2016. I am the Director of Industrial Ceramics Training. I get to train people who have, in general, graduated from a social enterprise program in the operation of a five ton dry press, loading and unloading of a top-hat kiln, and quality control inspection. Participants who complete this cross-training program go on to work at CoorsTek in Golden. I am a second-generation Colorado native. What I like most is that Denver has an interesting history, and it is close to the mountains! I joined Mile High Workshop in April 2018 as the program assistant and then moved into the Support Services Coordinator role in June 2018. As the Support Services Coordinator I oversee interviews and on-boarding, conduct intake, assist in group facilitation, crisis intervention, case management, and resource navigation. I also analyze job readiness data, assist clients with resume writing and job placement, supervise interns, follow-up with program graduates, and am working on growing our community partner network. My favorite thing about Denver is the level of passion and advocacy for human and civil rights that exists throughout the city. Rachel started with the WorkShop as an intern in September 2015 and quickly became an invaluable member of the team. Rachel oversees many of the operations at the shop and all of the supportive services. She is always ready to lend a listening ear and is grateful to play a support role to the amazing men and women at in the training program. When not working, Rachel enjoys getting outside with her husband and animals as much as possible. My dad calls me a therapy dog-in-training, I say I’m already a Good Boy, PhD. My favorite professional therapy techniques are letting people pet me and give me treats. If you get on the floor I may also come cuddle with you. My favorite part about MHWS is meeting all the people. So many new friends to make and so little time! I’m happy everyone here seems to like me because I already love them. You just need to walk by my dad’s office and I will come say hello. Unless you’re a squirrel, then I’m coming to get you!! I joined Mile High WorkShop in March of 2017. I have wanted to work here for years because I am passionate about the work that we do and feel it is so important to empower people through jobs! I am the Business Director and oversee business development and sales across all of our shops as well as secure new contract manufacturing customers. I love the sunshine in Colorado, hiking, road biking, stand up paddleboarding and the weather! Andy founded the Mile High WorkShop in February of 2014. He helps out at the shop wherever needed, except for using sharp tools - he's not very handy! He cares deeply about the mission and people at the WorkShop and desires to see continued growth in the organization so more people can be served. 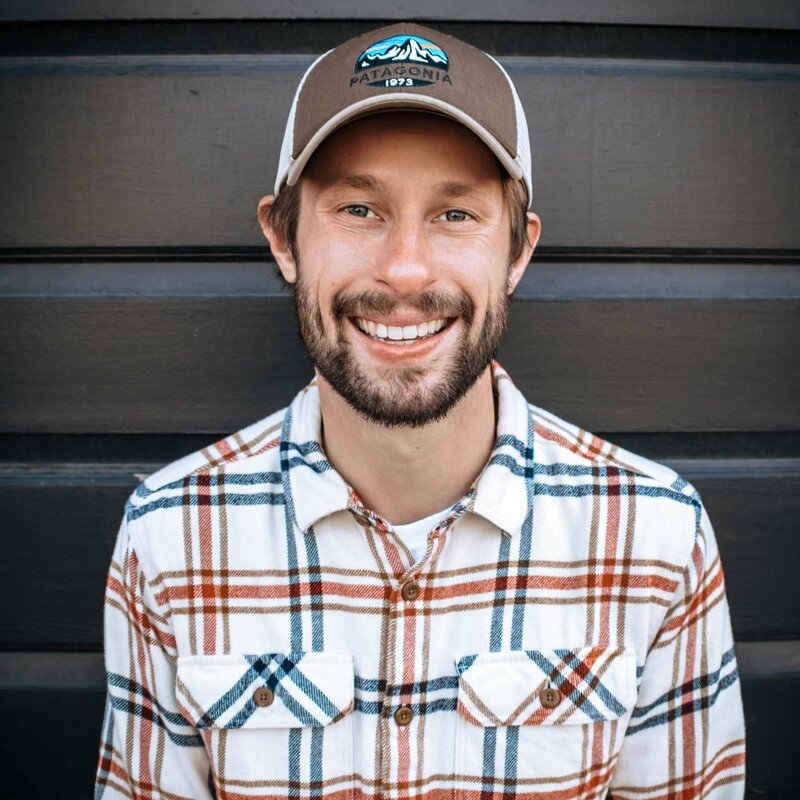 Andy loves spending time in Colorado's mountains with his family and enjoying Denver's many amazing coffee shops.